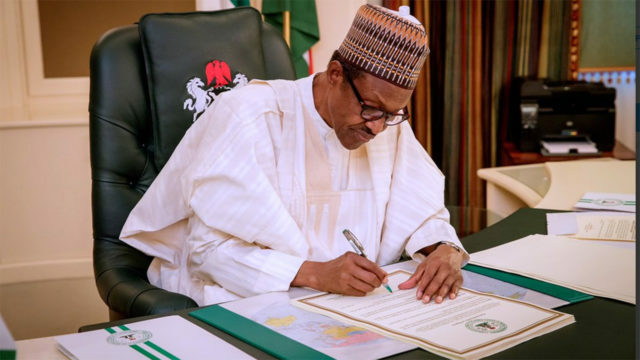 President Muhammadu Buhari has explained that he was reluctant to reply to former President Olusegun Obasanjo’s allegations against his administration. Consequently, he stopped his Special Adviser on Media and Publicity, Mr Femi Adesina, from responding and told the Minister of Culture and Tourism, Lai Mohammed, also not to reply to the former President. But while Mr Adesina complied with the instructions of his boss, the Minister did not and replied. President Buhari spoke about the development on Friday night when members of the Buhari Support Organisation visited him at the Presidential Villa, in Abuja. According to the President, the age difference between Adesina and Obasanjo was one of the reasons he ruled out a response to the latter. He said, “My press secretary was agitated he wanted to reply the letter, but I stopped him for two reasons. The same considerations did not apply to the Information and Culture Minister, who the President believes did a good job with his response, even though that was done in disobedience of his directive. “When Lai Mohammed came I said he shouldn’t, he insisted, he disobeyed me. He said he was going to remind Nigerians where we find ourselves when we came in as a government, where we are now and what we have done with the resources available to us. “And I understand he did a good job because a number of people rang me and said Lai Mohammed has done a good job,” Buhari said.